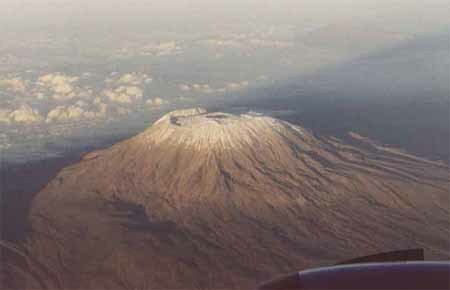 Description: Kili as seen from above. The crater and glaciers can be clearly seen. Photo by Romke.